There’s nothing more satisfying than sinking your teeth into freshly picked berries. Buying berries at a local grocery store isn’t the same as picking them from a farm. You actually work to get them! 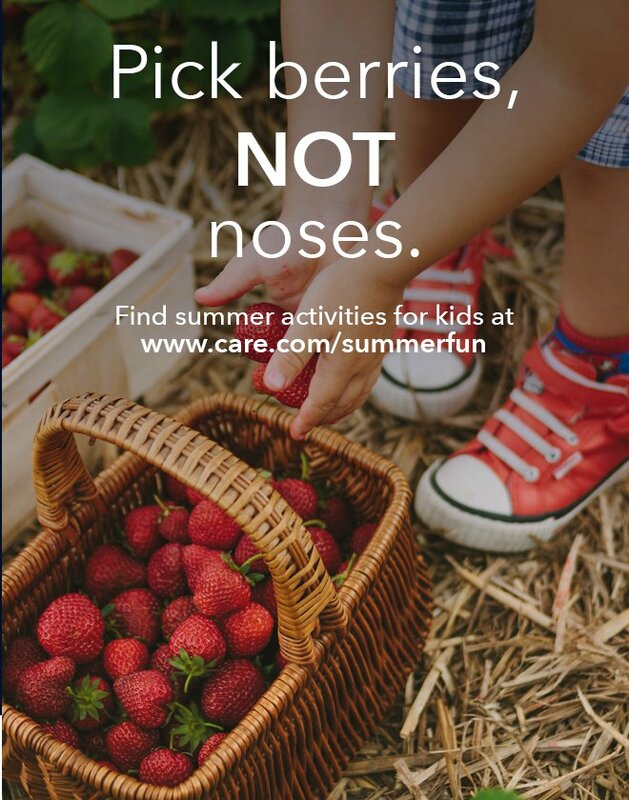 June is the start of berry picking season and this is a great activity kids will love to get their hands stained in. Click here to find local berry farms in your area. ONE issue though – Endless amounts of full buckets with not enough time or mouths to gobble them all up! Not BERRIE good if you ask me! Instead of letting those berries go to waste, have your kids help you transform ordinary berries into delectable healthy treats everyone will eat up! If you can’t think of any Top Chef challenges, here are 5 quick and easy recipes kids can make post berry farm. Blend ingredients and enjoy! Perfect for breakfast time or an afternoon snack break after playing in the hot sun. Lay parchment paper over a baking sheet or dish. Dip berries into yogurt. Make sure they are fully coated. Keep in freezer till hard. ​Add ingredients into a Popsicle molding dish. Add Popsicle sticks and set in the freezer until firm. Line a large baking sheet with parchment paper and preheat the oven to 170 degrees. Wash fruit and cut the strawberries and apple into pieces. Place in a blender or food processor. Zest the lemon into the blender, grating only the yellow outer layer and avoiding the bitter white layer underneath. Juice half the lemon, eliminating any seeds. Add to the blender with the other ingredients. Place center back into the oven for another hour or two. Roll strips up and secure with a string or small piece of tape. *Click here for more detailed instructions. Combine all ingredients and leave over night for a delicious healthy pudding. For more ideas to keep kids busy and happy this summer be sure to check out The Summer Activity Series and 101 Fun Things to Do With Kids This Summer.